In an unmistakable landscape of southern Spain, amid pine trees, stands this Andalusian-style complex. Its calmness and service make it an ideal location for couples and families wishing to spend a few days by the beach as well as getting to know the culture and events in the area. 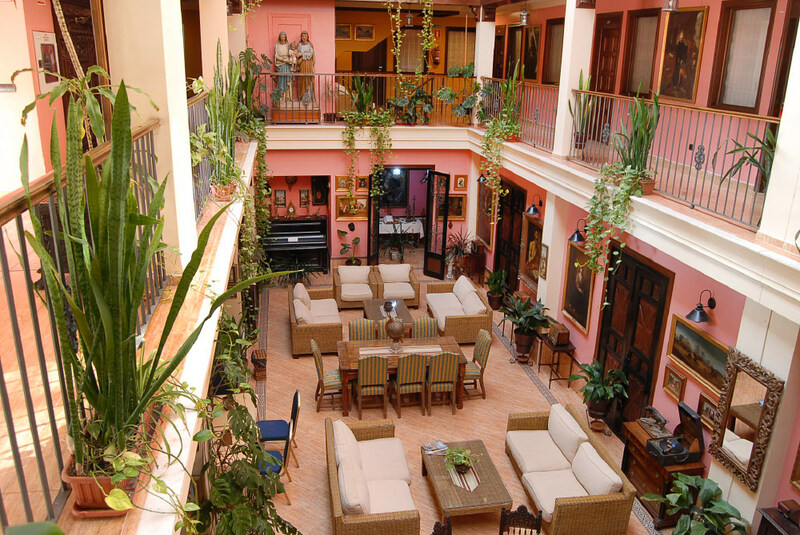 The building, built in 2006, offers facilities of latest generation without losing the essence of an Andalusian patio. 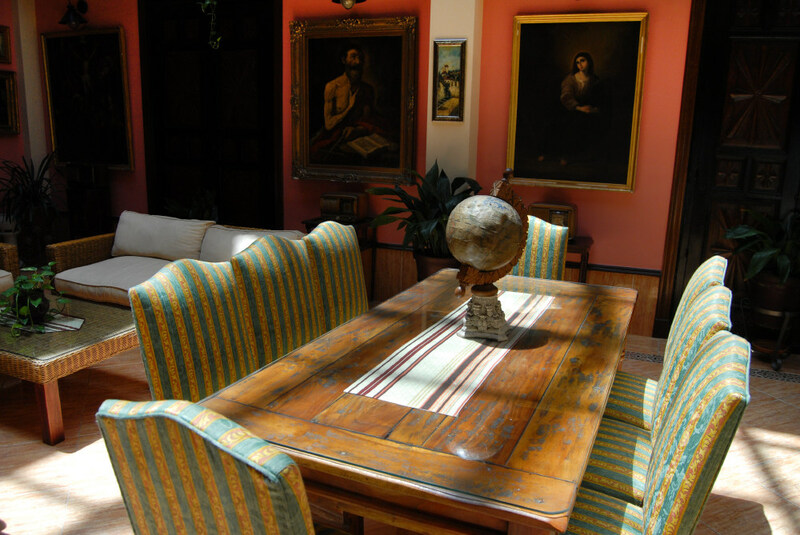 The layout of the rooms arranged around a central gallery conveys that magic. A bright hotel surrounded by nature and art works creating an exclusive atmosphere for all kinds of events. Various cultural exhibits and celebrations are held during the year in our exhibition halls and conference rooms. You can also enjoy our fantastic outdoor areas such as the three saltwater pools, lush gardens and a large sun terrace. Delight yourself in our exclusive 3-star hotel and relax in one of our cosy rooms. The city, El Puerto de Santa María, belonging to the province of Cadiz is a great tourist area. It allows you to enjoy the Mediterranean climate, its cuisine, beaches, festivals and especially its people. We are a human and family team committed to the proper functioning of our company. Our main differentiation is the dealing with clients, trying to make them feel “at home”. That is our main premise, for it we will customize your stay in our facilities offering information on activities in the area, book restaurants and sightseeing besides organizing meetings and conferences. We also offer a wide variety of tour packages. You will be able to relax in one of our more than 40 rooms, of which 28 are junior suites. 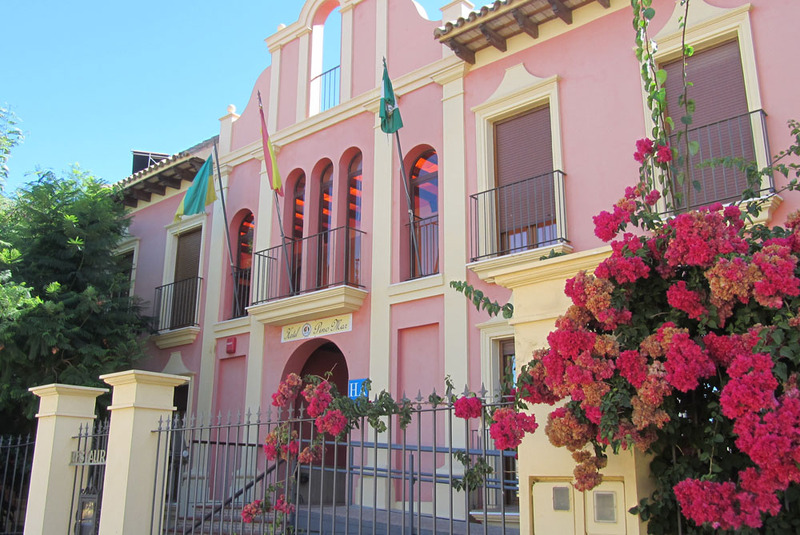 A hotel located next to the beach of La Puntilla and Marina of Puerto Sherry. The complex is characterized by being in a quiet area where you can enjoy nature, walking along the beach and practice various sports. If you book from our website you will get free breakfast. In addition to booking the room you will obtain free access to all hotel activities: Aqua zumba, Tai-Chi, Yoga and Aquatic stimulation for children among other.